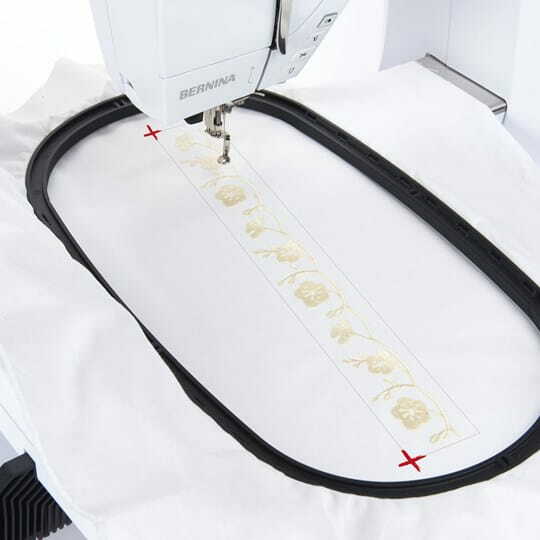 Three embroidery hoops are included as standard accessories and the optional BERNINA Midi Hoop for midi-sized motifs is also compatible with the B 700. 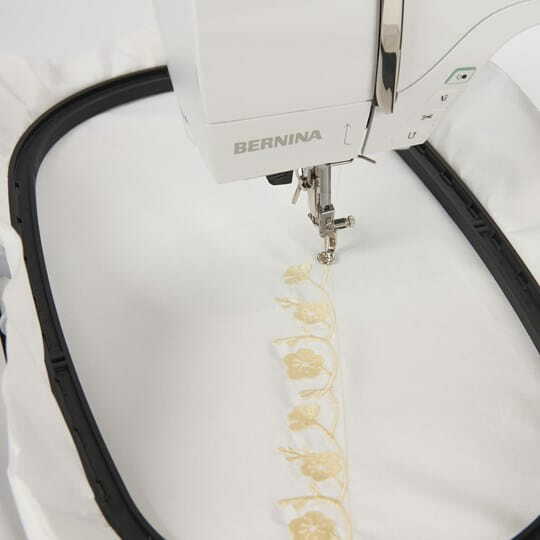 Embroider with fewer interruptions with the Jumbo Bobbin that holds up to 70% more thread than standard bobbins. 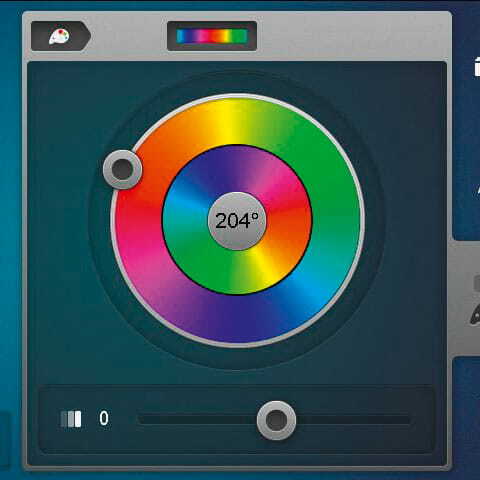 Simply Undo or Redo steps while editing or combining designs to return to your initial position. 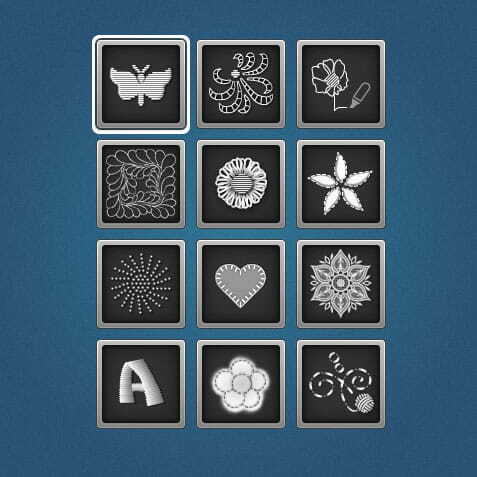 Edit all designs at one time with Group or individually with Ungroup. 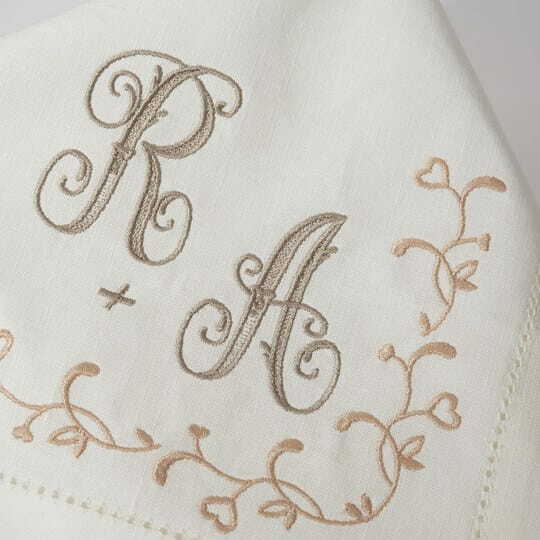 Choose from 320 built-in embroidery designs, 18 built-in embroidery fonts and one large built-in monogram set. 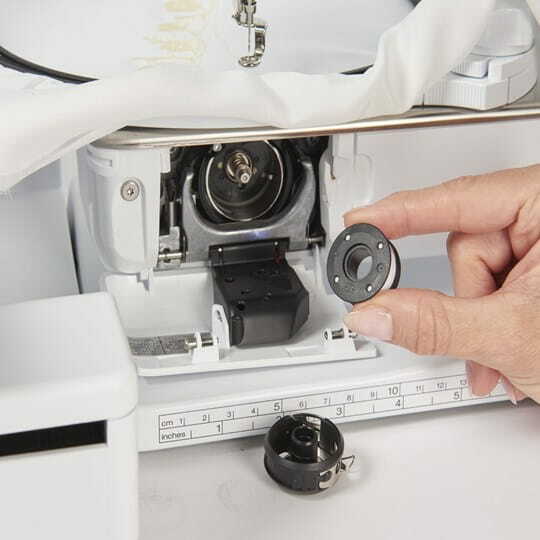 Thanks to the Thread-Up Command the machine lowers and raises the needle bringing the bobbin thread to the top of the fabric so you can secure the threads manually. 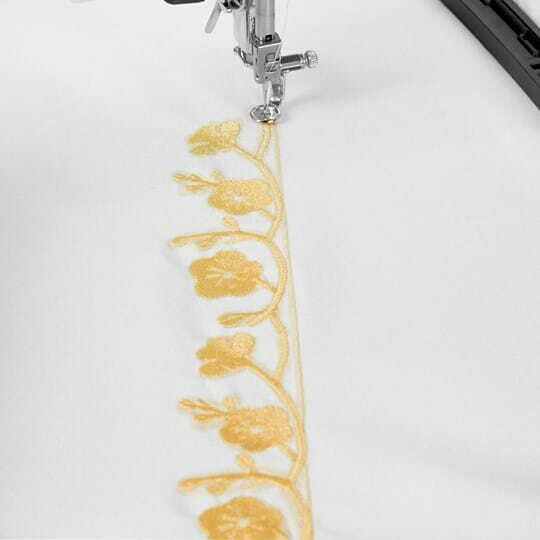 For each embroidery technique the consultant helps you to choose the correct foot, needle, thread and stabilizer according to your fabric to achieve the best results. 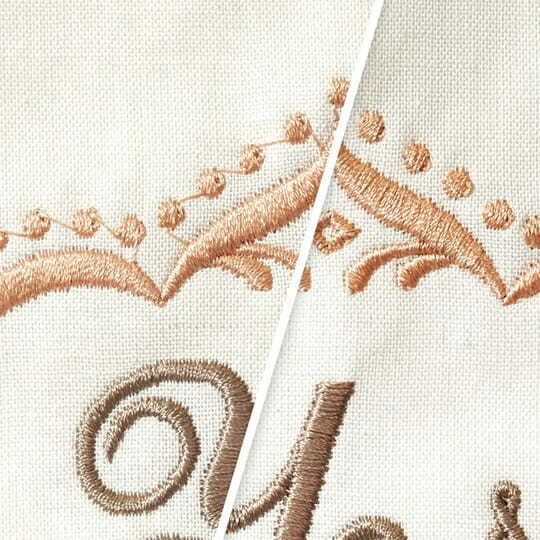 Securing stitches become invisible as the tie-on/off stitches are sewn in stitch direction. 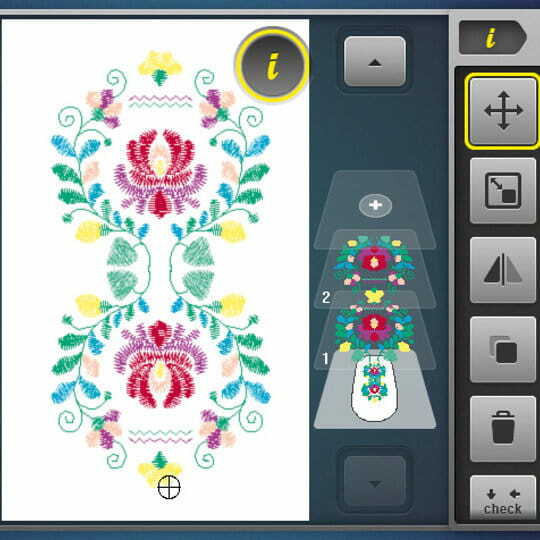 Smart Secure adds tie-on/off stitches to a design, if none are preset.